We provide a complete marquee hire service and also supply chairs, tables, dance floors, carpets, lighting and interior décor to help create the perfect setting. The Marquee Experience Company covers marquee hire in Essex, Hertfordshire, London and Cambridge but can also supply further afield if requested. "The Marquee Experience were utterly brilliant from start to end. 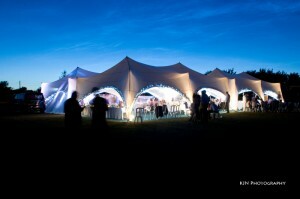 Our guests and indeed the village where it was held are still talking about the super marquees they provided!!"